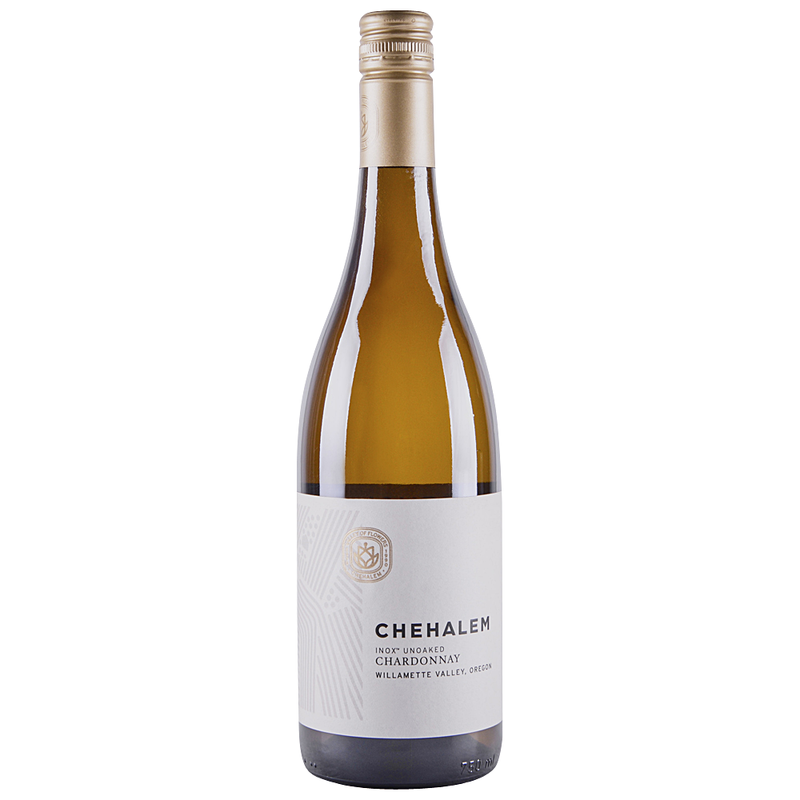 Rich, white and yellow fruit is in the forefront, with peaks of citrus zest, light spice and mineral, honey, and white blossoms. On the palate we see slightly bruised apple with the tartness of Granny Smiths, dried mango, finishing out to a long, broad, rich finish. Chehalem (Chuh-hay-lum) is a local Calapooia Indian word best translated as "gentle land" or "valley of flowers," phrases that capture a long-standing, almost religious reverence for the land. We understand this reverence, for we consider ourselves a vineyard winery, dedicated to reflecting as purely as possible what the vineyard has produced, with minimal processing, without compromising great fruit. The fruit shines brightly in this all-stainless cuvée. Ripe golden apples are at the core, with hints of peach and papaya. It's a lovely, forward, ready-to-drink style that brings extra concentration and detail that is all too rare in unoaked Chardonnays.